Fits Olds 260, 307, 330, 350, 400, 403, 425 and 455. 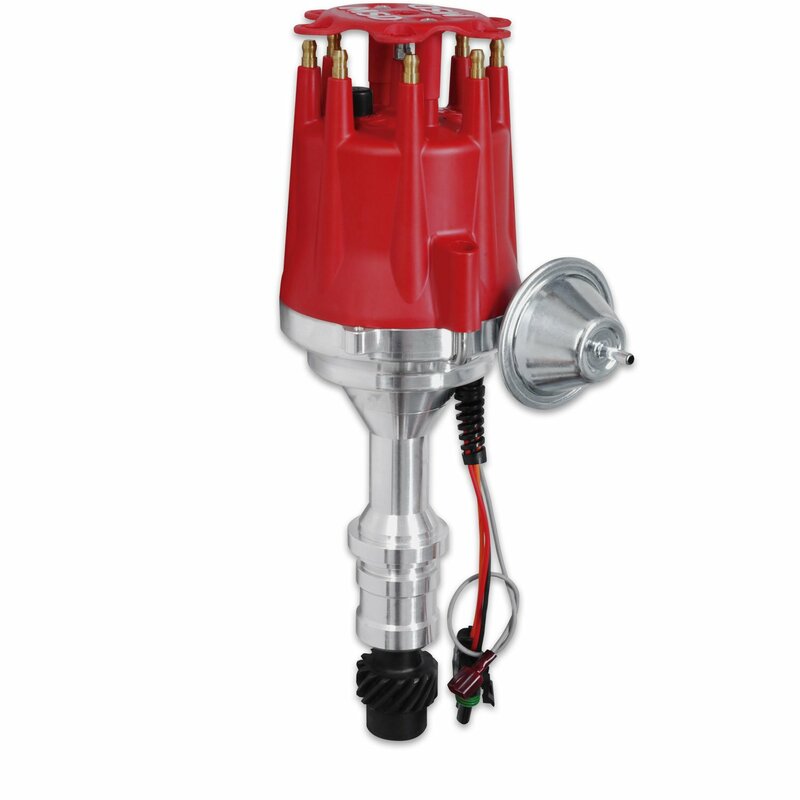 Ready-to-run distributor include a built-in ignition module. No MSD Ignition control required. Includes a rev limiter. Diehard Oldsmobile enthusiasts have been asking about a Ready-to-Run Distributor and here it is! Ready-to-Run means just that, drop it in the engine, connect three wires and fire up your Olds. Inside the billet aluminum housing there is a high-output inductive ignition module that lights the spark. This module now has a built-in rev limiter to protect your Olds from overrev demage. A polished steel shaft spins in the center of this module and is guided by a sealed ball bearing for great stability. Another great benefit of the MSD Ready-to-Run distributor is the mechanical advance. The weights and assembly are fine-blanked from chromoly for absolute precision resulting in smooth timing changes. You can set up a timing curve to match your engine's specifications easily with the supplied advance springs and bushings plus there is a vacuum advance for economy. 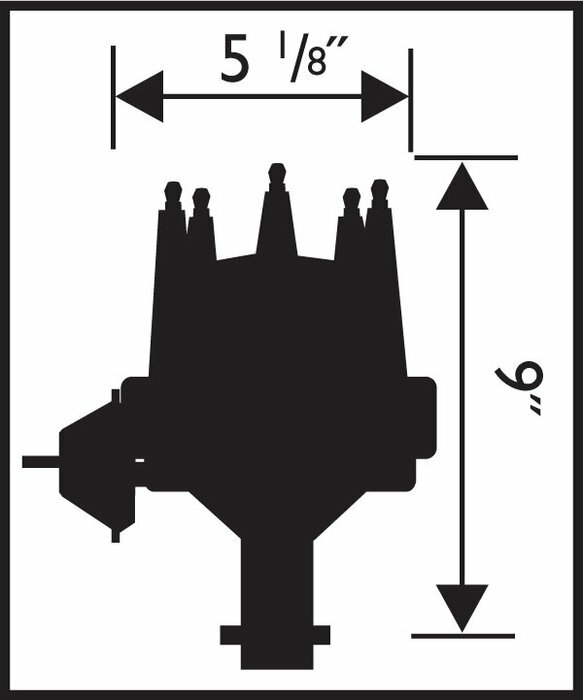 The Distributor is supplied with the MSD Cap, Race Rotor, wire retainer and gear.